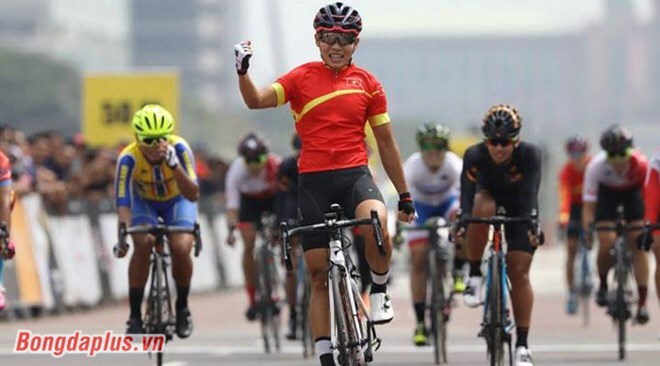 Kuala Lumpur (VNA) – Cyclist Nguyen Thi That has secured the 6th gold medal for Vietnam at the ongoing SEA Games 29 in Kuala Lumpur, Malaysia. That seized her triumph after finishing her race on August 21 within 1 hour 2 minutes and 12 seconds. This was also the second goal medal Vietnam has so far achieved on the day, with the first one won by wushu artist Duong Thuy Vi.